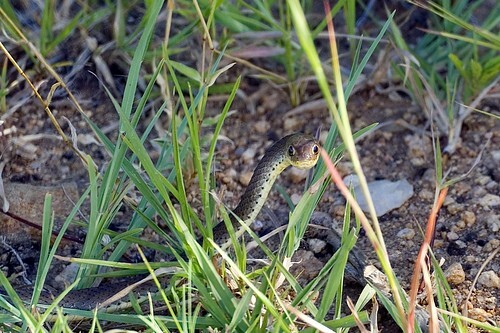 Can you confirm these amateur observations of Psammophis sibilans? Type locality: “Asia”, in error for Egypt. Type locality: Kadugli, Sudan [sudanensis]. Types Holotype: UUZM (= ZMUU) 42 (orig. in MP). Comment Taxonomy: Closely related to P. phillipsi and both may represent the same species. Psammophis sibilans rukwae BROADLEY 1966, Psammophis sibilans brevirostris, and P. s. leopardinus have been elevated to full species status. 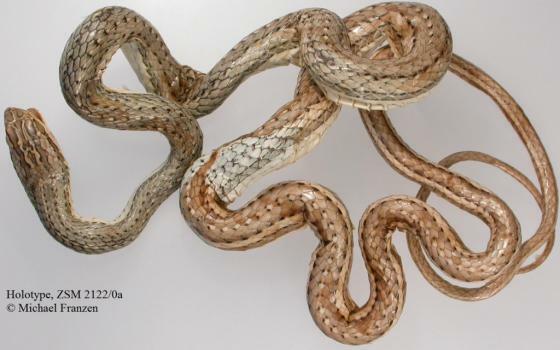 Type species: Coluber sibilans LINNAEUS 1758 is the type species of the genus Psammophis H. BOIE in F. BOIE 1826: 982 and 1827: 521. However, Psammophis BOIE is preoccupied by Psammophis BOIE in FITZINGER 1826: 30 (substitute name for Macrosoma LEACH). Synonymy: Kaiser et al. 2013 considered the generic names Eipperus Hoser 2012, Elliottus Hoser 2012, Rayhammondus Hoser 2012, Slatteryus Hoser 2012 invalid and rejected their use instead of Psammophis. 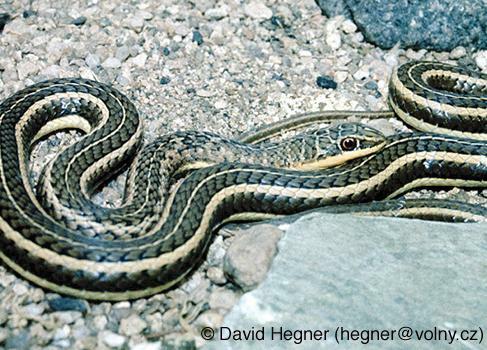 Werner 1902 described Psammophis brevirostris temporalis which may be a synonym of Psammophis sibilans brevirostris. Distribution: Erroneously reported from Morocco, Algeria, and Tunisia (Schleich et al. 1996; Brandstätter 1996). Not listed by BROADLEY & POYNTON 1998 for the Democratic Republic of the Congo (Zaire). Not in Gabon fide PAUWELS & VANDE WEGHE 2008. Not reported from Benin according to ULLENBRUCH et al. 2010, not in Liberia (L. Chirio, pers. comm., 23 Aug 2013). Not in Sierra Leone fide TRAPE & BALDÉ 2014: 320. Reports from Libya represent most likely P. schokari. P. sibilans, as currently construed, is limited to the Nile Valley of egypt (Baha el din 2006a; Sindaco et al. 2013, Bauer et al. 2017). Hence, reports from Algeria (JOHANN 1981) are also erroneous or do not reflect current taxonomy. Not listed for East Africa by Spawls et al. 2018; not there (i.e. in Kenya, Tanzania, Uganda, Rwanda, Burundi fide S. Spawls, pers. comm., 28 June 2018) despite reports in the older literature (e.g. Uganda, fide PITMAN 1974). Not in Angola (where it is replaced by other Psammophis) fide Marques et al. 2018. 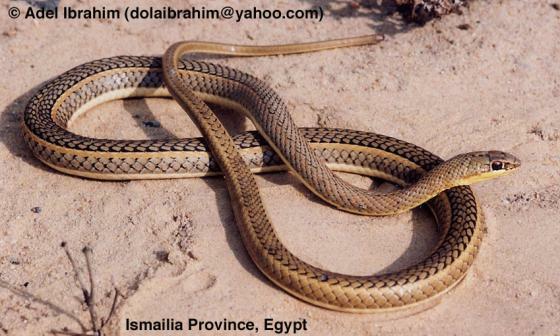 Hybridization: Psammophis sudanensis and P. sibilans appear to hybridize; P. sibilans and P. subtaeniatus also hybridize (BROADLEY 1966). Brandstätter, Frank 1996. Was Linnaeus wrong? - Errors and mistakes in the first description of Psammophis sibilans (Linnaeus, 1758) (Colubridae). LINNEAN 12 (3), October, 1996: 36-39. Brandstätter,F. 1996. Die Sandrennnattern. Die Neue Brehm-Bücherei 636, Magdeburg (Germany), 142 pp. Broadley, D.G. 1959. Snakes of Southern Rhodesia. 8. 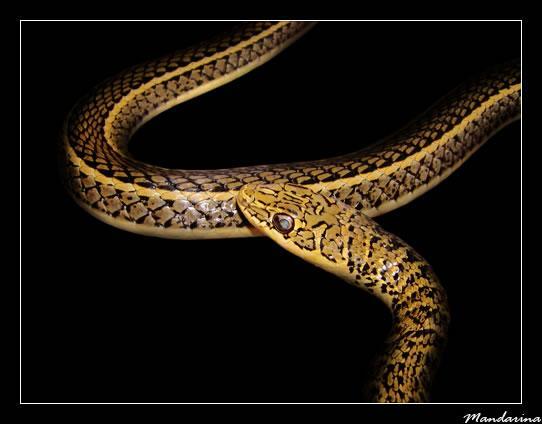 The Olive Grass-Snake Psammophis sibilans sibilans (Linnaeus). Afr. Wild Life 13: 29-31. Broadley, D.G. 1994. 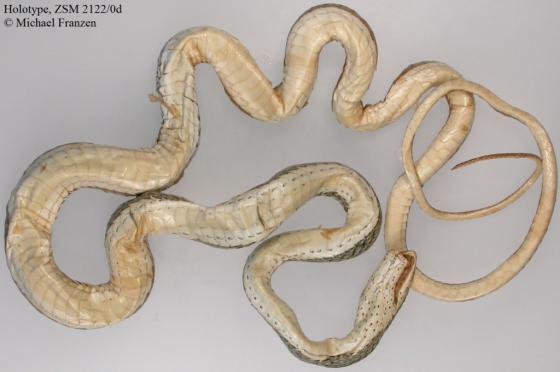 A collection of snakes from eastern Sudan, with the description of a new species of Telescopus Wagler, 1830 (Reptilia: Ophidia). Journal of African Zoology 108 (2): 201-208. LeBreton, Matthew 1999. A working checklist of the herpetofauna of Cameroon. Netherlands Committee for IUCN, 160 pp.